Medicaid directors from around the country are eagerly waiting to hear CMS Administrator Seema Verma speak about her agency's willingness to give them more flexibility in how their programs are run. 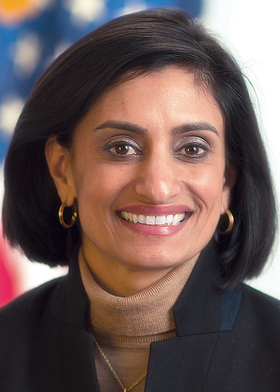 Verma is slated to address the National Association of Medicaid Directors annual conference on Tuesday. Since being confirmed in March, Verma has been vocal about wanting to empower state officials to craft Medicaid programs that include conservative policies such as work requirements, cost sharing, drug tests and lifetime limits on enrollment. However, in the months since she took her post, waiver requests seeking these new permissions from states like Indiana, Kentucky and Wisconsin have remained unanswered. Verma has also talked at length about scaling back a mega managed-care rule finalized under the Obama administration that imposed a variety of new requirements. However, the CMS last summer decided to retain some controversial parts of the rule, including stricter standards to ensure that managed-care rates are actuarially sound and cover all medical and administrative costs, taxes and fees for which the health plan is responsible. Managed-care plans also must calculate and report their current medical-loss ratio, which is a breakdown of what the plans spend on medical care versus other activities, including employee salaries, marketing, profits and administrative tasks. The agency said that these provisions have significant federal fiscal implications for the Medicaid program, so it will continue to require compliance. The lack of action on some waivers and the continuation of the managed-care rule have made Medicaid directors curious about when and how the CMS will increase flexibility for states. "We look forward to hearing a clear articulation of the administration's priorities for Medicaid and how it interacts with the broader healthcare system," said Matt Salo, executive director of the NAMD. "Medicaid directors have long called for a rethinking of the state-federal partnership as well as increased flexibility for states as they seek to improve healthcare outcomes for the people we serve." The conference will also feature Brian Neale, director of the Center for Medicaid and CHIP Services, who will be speaking about the Trump administration's vision for Medicaid; and Tim Engelhardt, who oversees federal efforts to improve care coordination for people dually eligible for Medicare and Medicaid.